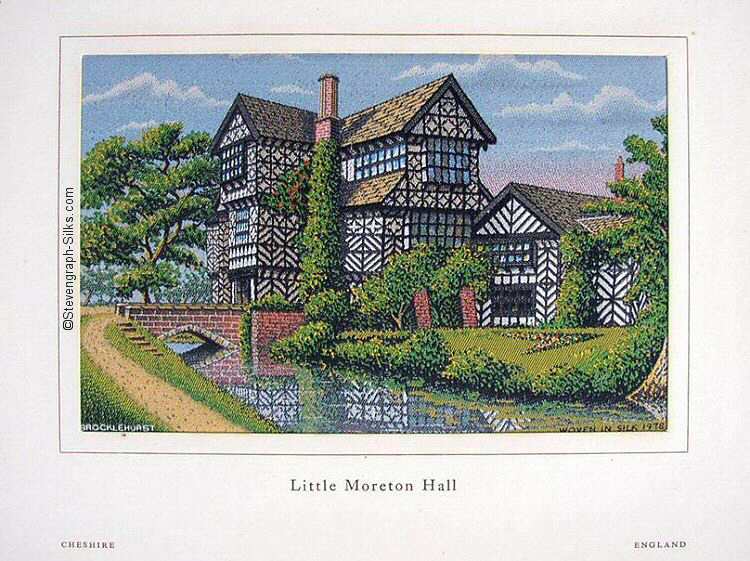 Little Moreton Hall is justly acclaimed one of the finest specimens of sixteenth century half-timbered work, and stands as the most complete of its style in Cheshire. In 1938 the Hall was handed over to the National Trust. Once again in 1978 BWA went outside Macclesfield for the subject of the picture, to a famous building on the A34 between Congleton and Newcastle-under-Lyme, LITTLE MORETON HALL.